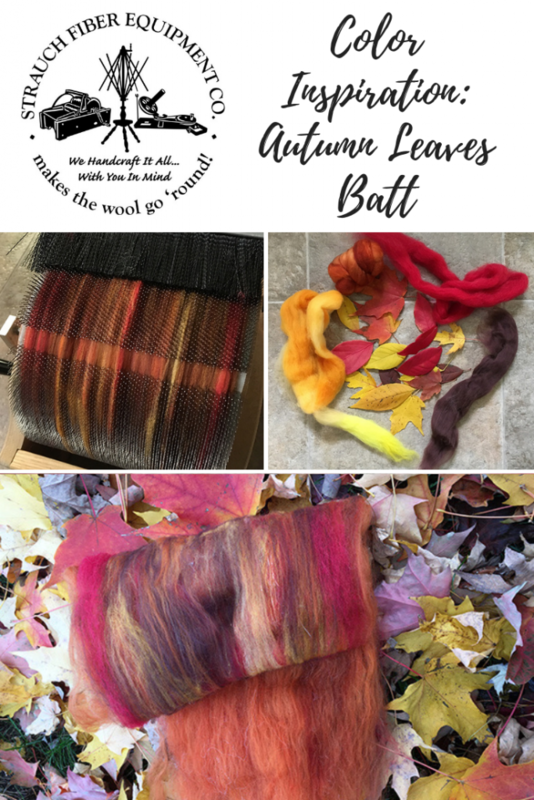 Capture the colors of the season with a cornucopia of colorful batts and this simple tutorial! Use your favorite photo of fall foliage to create your palette, or take a long walk and collect a few pretty leaves to inspire your color selection. 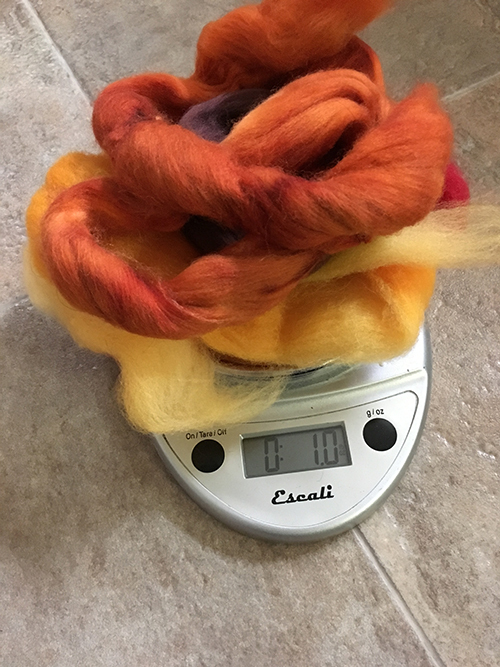 Try adding in a little something extra to make the colors pop – we used a mix of recycled sari silk, dyed firestar, and copper angelina sparkle fiber to add a subtle sheen to the finished batt! Helpful: Drum Carding 101, our free PDF filled with tips & techniques! Your base fiber should weigh 1/2 oz. 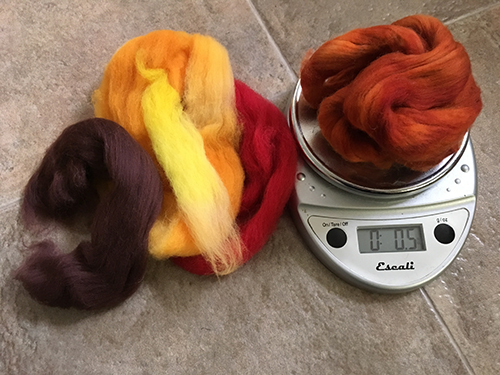 All fibers should weigh approximately 1 oz together. Divide base fiber into half and feed the first half through your carder to create a good base. 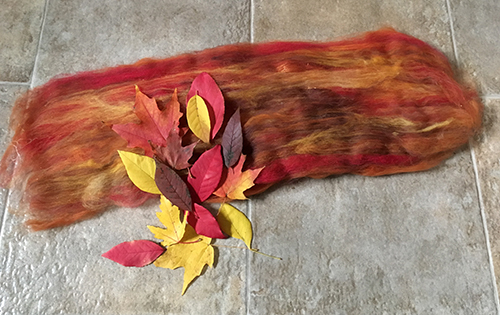 Begin alternating your autumn color mix with the remaining base fiber. We opted to do this at random to create a more mottled effect, as you would see in nature. 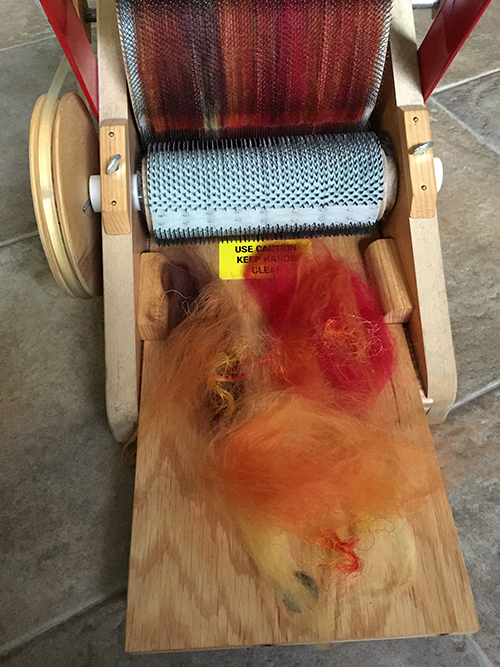 If you wish to use add ins, reserve some of your fiber to use for the “fiber sandwich” method for your final layer before removing the batt from your carder. 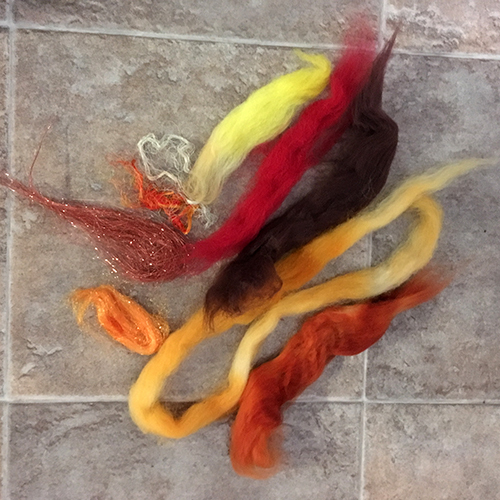 Recycled sari silk, angelina sparkle & dyed firestar with reserved fibers. 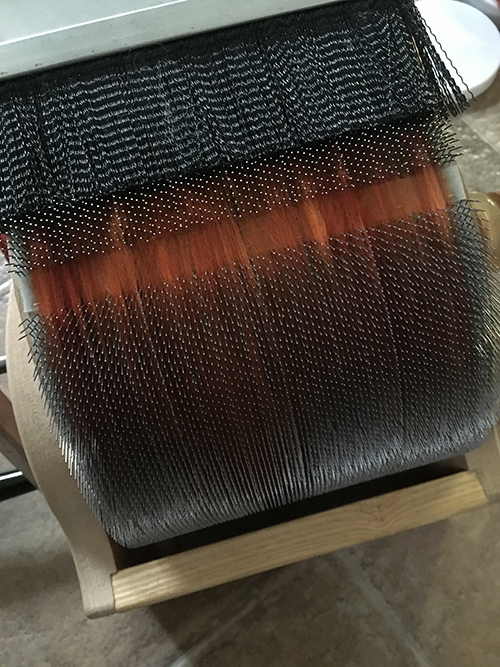 Place add-ins on top of a thin layer of fibers. 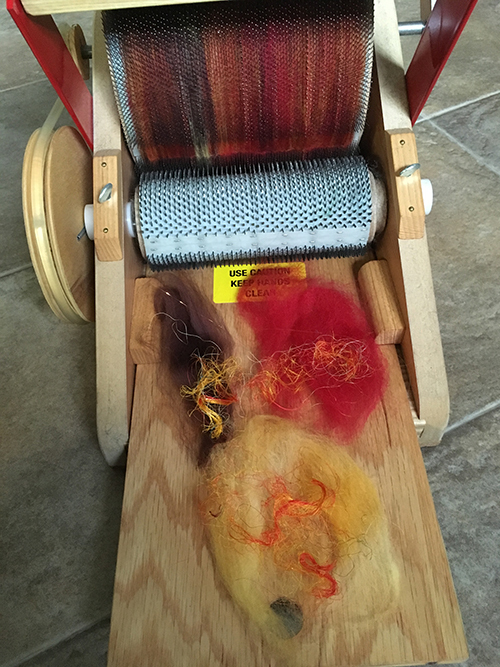 Once your drum is filled, remove from drum carder and enjoy! 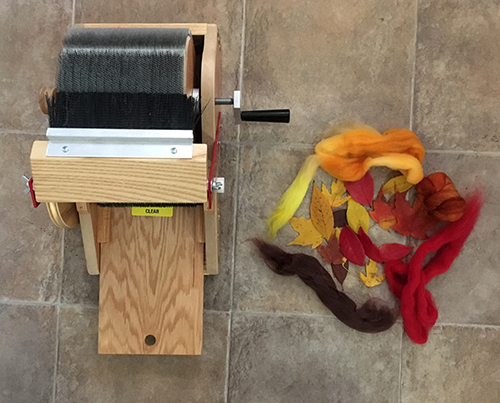 We’d love to see your autumn-inspired batts – share them with us on Instagram and don’t forget to tag your post with #strauchfiber! This entry was posted in Carding, Inspiration, Tutorial and tagged batt blending, color inspiration, tutorials. Bookmark the permalink.